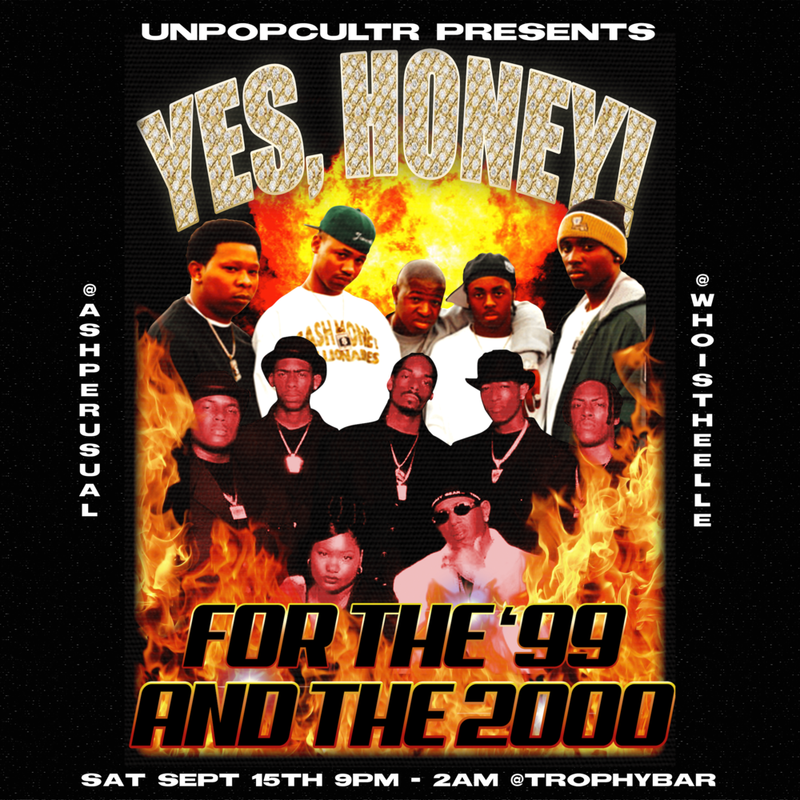 Meet us at Trophy Bar for all of late 90s/early 2000s classics from Cash Money, No Limit, Three 6 Mafia, Ruff Ryders, Dipset & MORE! Yes, Honey! is a dance-party with a rotating roster of female identifying DJs. Each event features a different genre-based theme curated by @whoistheelle. This month's guest DJ is @ashperusual.